'Fresh Air' On Aretha Franklin's Columbia Years Before Franklin's Atlantic Records hits, she recorded for Columbia. In those early recordings you can hear the legend just beginning to emerge. 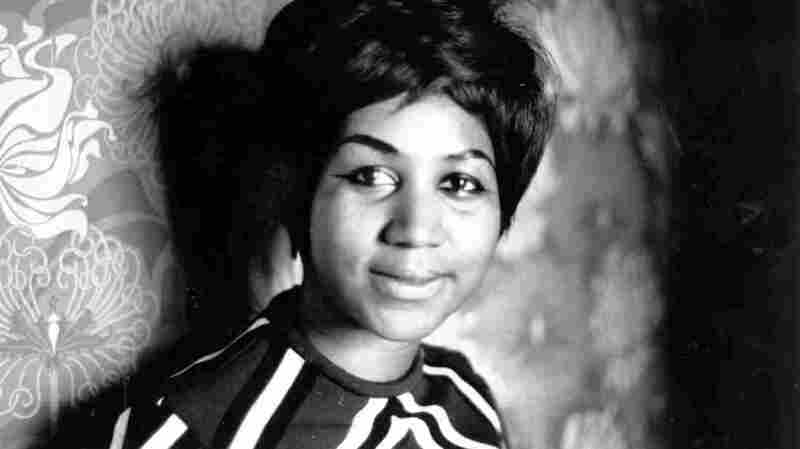 Aretha Franklin became a star on the Atlantic record label after leaving Columbia. 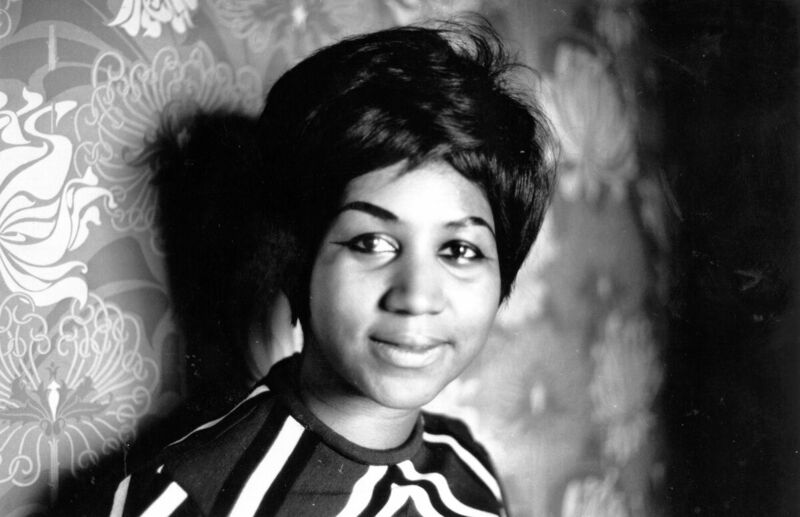 Aretha Franklin made her first record when she was 14, singing some gospel standards in the church of her father, Rev. C.L. Franklin, an easygoing Detroit pastor who was friends with Martin Luther King and just about every gospel singer you could name. One of the stars who visited a lot was Sam Cooke, who convinced Aretha that she could be a hit singing popular music. So in 1960, at 18, she dropped out of school and, eventually, was signed to Columbia Records by its top talent scout, John Hammond. Hammond, who had discovered Count Basie and Billie Holiday, among others, saw her as a potential jazz star, and recorded her with a jazz trio led by Ray Bryant. Franklin recorded jazz standards like "Rock a Bye Your Baby With a Dixie Melody," which was a minor pop hit in late 1961. It's likely that she knew she'd be doing other kinds of material, and apparently Columbia agreed, because the label followed it up with "Rough Lover." A lot of the elements that were popular in the day's black pop are here, from the up-tempo rhythm to Franklin's soul-tinged delivery, but even in 1962, a song about wanting a "rough lover" was taboo. It's hard to know where to start with this song. A lot of the elements that were popular in the day's black pop are there, from the up-tempo rhythm to Franklin's soul-tinged delivery, but even in 1962, a song about wanting a "rough lover" was taboo. This came out at approximately the same time as Phil Spector hurriedly withdrew The Crystals' "He Hit Me (And It Felt Like a Kiss)," after all. "Rough Lover" actually got to No. 94 on the pop charts for one week before vanishing. Columbia went back to recording albums of jazzier stuff, while occasionally trying to cross her over. Part of the problem, though, was the label's insistence on using its own producers and engineers and studios, and apparently nobody at Columbia understood what they had in Franklin. In 1963, for instance, someone named Robert Mersey tried for a hit with "You've Got Her." A little restraint in the arrangement might have saved the song, but clearly someone thought "You've Got Her" sounded a bit like gospel music. Franklin does her best, but too much goes wrong too soon. By 1964, Columbia was desperate with her record "The Shoop-Shoop Song." For once, it's an inspired choice, a pared-down arrangement and a spirited vocal from Franklin. But Betty Everett had just had a hit with the song, her version was every bit as good, and this wasn't a single, but a track on an album that also had Aretha Franklin doing songs made famous by Dionne Warwick, Inez Foxx and Barbara Lynn. Something was still trying to break out, though, as the 1965 single "Hands Off" shows. By 1966, Columbia had lost $90,000 on Franklin and was offering her a deal she didn't like to re-sign. Across town, the folks at Atlantic Records were paying attention. What if they offered her the opportunity to write her own material, to play her piano with a little more gospel in it, use her sisters for backup vocalists and to record at funkier studios? In January 1967, they went into the studio and began to find out.